It was disappointment for several voters who came out to vote in the first Assembly Elections in India’s youngest state of Telangana when they found their names absent from the voter list. The state, which has an electorate of over 2.80 crore, is witnessing 1821 candidates battle it out for 119 Assembly seats. Apart from the issue of faulty EVMs which delayed voting by up to two hours in several polling stations in Telangana, hundreds of voters found that their names were not on the voter list. These included ace shuttler Jwala Gutta, who tweeted about the issue as well. In a video response to everyone asking her why she did not register, Jwala clarified that she had checked online, done the formalities and only then gone to vote on Friday, only to find that she could not do so as her name was not on the voter list. Further, her father and sister’s names were also missing, she said. “I have been living at the same residence for the past 12 years… why are the names being deleted? And if the names are being deleted, we should definitely be informed,” she argued. Jwala’s mother meanwhile, was able to vote. In other constituencies too, several voters had a similar story to tell. 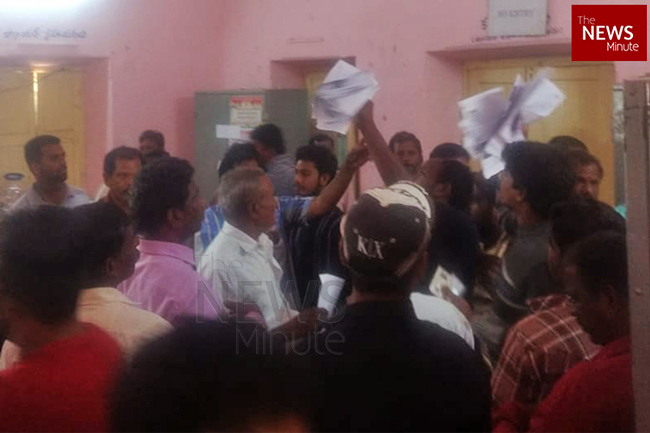 For instance, in Kamareddy district, 300 people protested at the electoral office, alleging erasure of their data from electoral rolls. 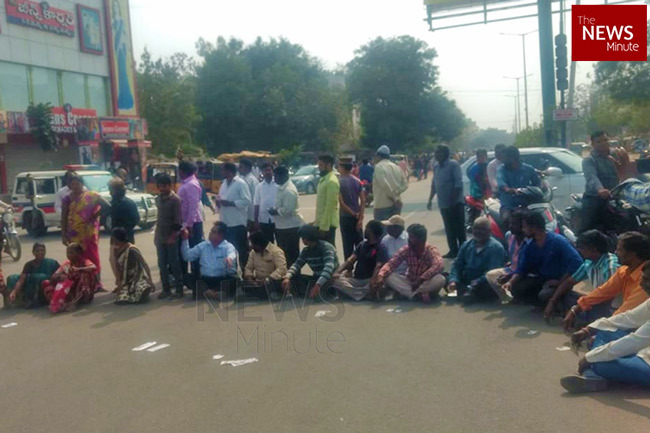 At one point, they sat on the road, holding up their voter ID cards in protest. The police had to intervene, and DSP T Lakshmi Narayana assured that digital electoral rolls would be re-scrutinised. Speaking to the media however, the DSP said that officials can't do anything at this point if their names are not found in the voter list. In Khairatabad constituency, at the Cyient digital centre polling station, a polling officer told TNM that over 100 voters complained that their data was missing from electoral rolls. An elderly man, Kurma Narasimhalu, said, “I came to vote but the polling agents tell me that my name is not in the voters’ list. They asked me to check with the nearest Meeseva centre.” The 65-year-old walked all the way to the Meeseva centre which was 3 km away, and TNM joined him. Much to Kurma’s dismay the Meeseva centre was shut and he went home. The polling agents outside this booth told TNM that only those who have their names in the electoral rolls will be issued a voter slip to gain entry into the polling booth. Many who did not find their names in the electoral rolls simply went home. Medha from Malkajgiri constituency told TNM that she knew at least eight people whose data had been 'lost' and as a result, they had been unable to cast their vote. "There were several others in the polling station. Many had been coming to this same polling station before also, but now their names are no longer there. I had been checking online for days. I expect the authorities to inform us if we needed to register again, but no such communication came," she said. This seems to be a problem that a lot of people are facing, and they spoke up on social media, tweeting with the hashtag, ‘Where is my vote’. Disappointed that my name was not on the voters list in Hyderabad #ceotelangana #whereismyvote. Went to the polling booth with Voter ID and returned without being able to vote. Why did this happen?! Almost 30 % voters lost their voting rights today in malkakgiri. Been voting for the last 20 years but this time my whole family names has been omitted from voters list. Same with me.. my parents lived at the same house for 17 years now and names are missing..
Who applied for deletion of our name?